The in-game Shop is getting updated, and we’d like to tell more about what’s currently in the works. In August, we made the first set of changes to overhaul the in-game store, and we focused on the design and stability. As time went on, we added more functions one at a time in order not to bombard you with new features or create stability issues. Filters for Personal Reserves: There were complaints it was difficult to navigate the menu when players had large numbers of reserves. So for now we brought back the filters in the old “Reserves” tab. This is only the first part of the improvements in this tab of the Depot. In future, we also plan to refine the reserves themselves so it’s easier to navigate the existing ones. What’s in the Depot/Vehicle: Now it is indicated how many of each product you have in the Depot and how many in your vehicles. This also refers to the tooltips. It’s an auxiliary tool but we’ve not forgotten about it. Improved art and text display: Players questioned why the art looked so big and empty at the same time. We partially solved this problem by making more efficient use of the space. In the next version, however, we'll release another improvement to hopefully finally close the issue for good. Filter Logic: Now when choosing a tank, only the equipment that can be put on the tank is displayed. Resetting filters: If nothing is found with your selected filters, you can reset the filter with a click of a button. Also, in September, we added the ability to restore sold Premium vehicles. 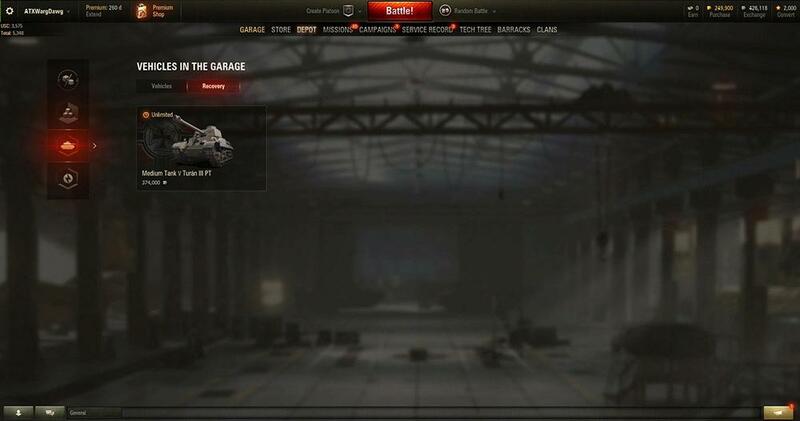 To restore your sold Premium vehicles, you just need to jump to the "Depot" menu and select the "Tanks in Garage" tab. A tab labeled "Restore" will appear; here you can see a list of vehicles you can restore, complete with related information. If you have any machines which can be restored, the second way to restore them is through the Garage itself. In your carousel of tanks, next to the options to buy new machines and slots, a Recovery window will appear, which shows how many are able to be restored. 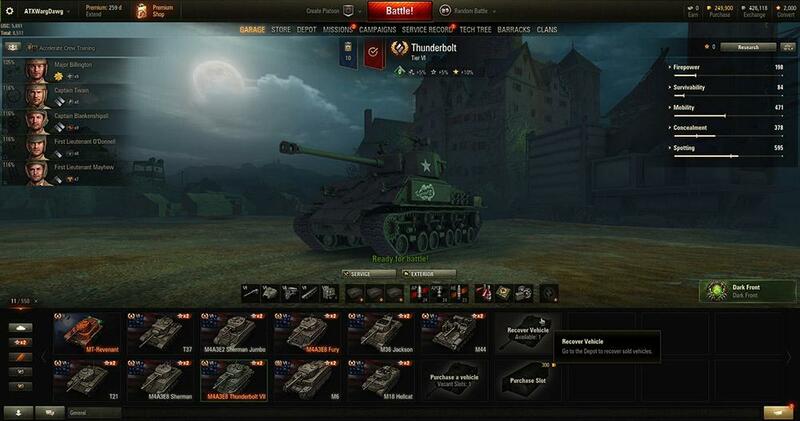 Promotional and unique tanks can be restored, as before, through the preview menu in the client. This is the first change that revolves around the in-game store and it won’t be the last. With these changes coming and more on the way, your feedback is really important. Working on this service, we are happy to work hand-in-hand with you to fix features or even implement new ones to make the in-game store the best it can be!